Pirates! Robbers! Crooks & Thieves! Well, pirates anyway. As it happens, a documentary on “Blackbeard’s Mystery Ship” is winding up on TV as I write this. But these are literary pirates — I’ve mentioned before that I subscribe to various “writerly” lists, and one motif that comes up now and then concerns sites that collect and offer ebooks for free without permission. Well, these sites are illegal if what they’re offering is copyrighted as is, presumably, their use, but how much harm do they really cause writers? As one who is only just now gingerly poking a toe into ebook publishing (that is, in the sense of stand-alone books, not just having one story of many in an e-magazine or anthology) I’m probably not in a position to know. But I have had mixed feelings about how I’d react if I discovered something of mine had been pirated — that is, in the case of a magazine story right now, it would be the equivalent of an original publication exercising non-exclusive archiving rights which I normally don’t mind allowing. On the one hand it’s a sort of competition, but if it doesn’t get in the way of my selling reprint rights elsewhere it’s advertising too (person comes upon the archived story, likes it, sees it’s reprinted in an anthology, assumes he or she will like other stories in the anthology too, so buys that as well). The writer of this is Cecilia Tan of Circlet Press, herself a publisher, and probably knows more about it than I do. May is ending with a bang in more ways than one. Amidst picking up branches from my neighbor’s pine tree out of my front yard, I just finished returning the contract for an acceptance from INDIANA HORROR 2011, an anthology of “short stories and flash fiction in the horror genre from Indiana writers and folks with Indiana ties or writers that set their stories in Indiana.” The official deadline is July 31, but they’re already accepting stories (i.e., one by me :-)), so they could be filled earlier. The pay isn’t huge but, hey, we’re in a recession and every bit helps, not to mention the pride of another resume item. My story is one called “Ballet of the Dolls” which also appears in DARKER LOVES: TALES OF MYSTERY AND REGRET (originally published on CD ROM in CARNIVAL [Lone Wolf Publications, 2004]), about a midwestern sideshow attraction and its even more attractive presenter. So, if you’ve read it in my collection, you may already have an idea (for better or for worse) of the quality of work that will be included in INDIANA HORROR , scheduled to be out “no later than 11/01/2011, in time for Christmas.” Or, if you get INDIANA HORROR 2011 and like my story, just press the picture of DARKER LOVES in the column to the right for handy ordering to read additional work of mine there. This comes a day late, a thunderstorm having knocked the electricity out for about five hours earlier yesterday evening (this being written somewhat after midnight) — five hours in the dark, reliving the pioneer days of our caveman ancestors, the cave cat and I huddled around a battery lantern. Well, think of it as a fire. I did make one foray outside when the rain slacked off, seeing several large limbs down, at least one road blocked, one business’s sign blown up and over its roof and into the alley behind, but no real damage at least to my property that can’t be cleaned up. Pizza for dinner, bought frozen at a grocery just outside the “dark zone,” then cooked at home over the gas oven campfire. And news waiting to be told! A story of mine has been accepted by editor Julie Ann Dawson for AMERICA THE HORRIFIC: TALES OF HORROR FROM AMERICAN MYTH AND LEGEND. To quote the guidelines, “A group of strangers becomes stranded at a bus terminal during a freak storm [ah, now — coincidence? My comment]. To pass the time, the bus driver starts telling the story of a local legend …” And on it goes, with stories that focus on American legends, folklore, and myth. “We want horror stories in the classic horror style that rely on mood, setting, and … a firm sense of place.” Examples cited include actual legends (e.g., the Jersey Devil) or legends made up (the Blair Witch Project), but each one unique to the place it is set in. The writer’s challenge on something like this, at least in my opinion, is to figure out a legend or place that will be recognizable when you tell the tale — almost obvious — yet will be one just enough off the track that other writers will not have thought of it. In my case I chose what really amounts to a science fiction theme for a story I call “The Country Doctor.” And where is it set? Well, that would be telling. Of other news, yesterday’s activities included proofreading a .pdf copy of my story “Leaves” for the upcoming JACK-O’-SPEC anthology (see Jan. 8, below), edited by Karen A. Romanko. This is to be a collection of Halloween stories and poems and is, it would seem, on its way to being available well in time for the holiday. Then, finally, speaking of Myths and Legends outside of America, blundering about the internet earlier, what should I come upon but a PUBLISHERS WEEKLY pre-publication review of RAPUNZEL’S DAUGHTERS AND OTHER TALES (see posts for Mar. 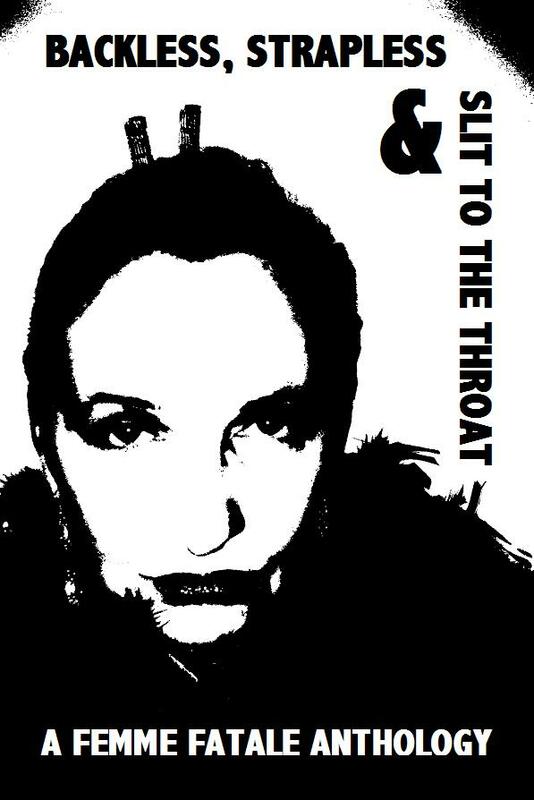 2, Jan. 5), scheduled for publication this July by Pink Narcissus Press. “What happens after the ‘happily ever after’”of some of our most familiar fairy tales? My dog in this fight, well, it’s cited in the review so, if you wish, just press here to see (it’s the one mentioned first!). “Amaterasu” Update — Less than Two Weeks Away! Into each life a little rain, and all that. Exactly one year ago, May 13 2010, I sent a story to a proposed e-anthology, GIRLS WITH GUNS, to be published on Smashwords and made available for free to all. “If you’re a digital author who happens to like girls, girls with guns or girls who like girls with guns…,” the guidelines entreated, and who could resist? My story, a reprint (the anthology also was for fun, not money), was more into noir than gun totin’ action, but the call was for a mix of genres and so off it went. A few months later the story, “The Right Man,” was accepted. Then earlier this week I received the news via Facebook that, due to pressure of outside events, the anthology has had to be cancelled. For any others with stories accepted who might not have heard, it’s on the wall at “Girls With Guns Anthology” dated May 6. 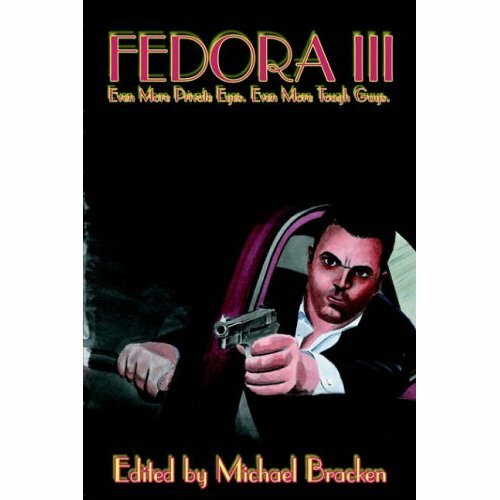 As for “The Right Man,” while this project may have fallen through, it is still available in print book form in FEDORA III (Wildside Press, 2004) and BACKLESS, STRAPLESS & SLIT TO THE THROAT: A FEMME FATALE ANTHOLOGY (InkSpotter Publishing, 2009). And of course it’s now available too should someone else offer to give it a home. Any Lovecraft Fans Out There? In the name of Truth in Advertising I need to add that this is a “for the love” project, that is with no pay or copy attached, but it sounds so cool that I couldn’t resist submitting myself (albeit with a previously published story). For more details, guidelines can be obtained here. My second story sale this month, “Nanoflakes,” will be appearing in an upcoming print anthology by UNTIED SHOELACES OF THE MIND (cf. Apr. 6, et al.) combining stories in past electronic issues with selected “bonus stories” sent in by authors, often hard-to-find reprints from other magazines. “Nanoflakes,” for instance, previously appeared in the 2nd Quarter 2006 issue of ABYSS AND APEX. I might remind also that “Waiting for Geoffrey,” a new story by me, will be appearing in issue 5 of UNTIED SHOELACES’ regular electronic edition. Happy May! Today I got word of a new acceptance from Library of the Living Dead for their upcoming Civil War anthology THE SOUTH WILL RISE UNDEAD. My story, “The Hole,” takes place in present-day Memphis and concerns a problem with sidewalk maintenance combined with some, well, leftovers from local boy General Nathan Bedford Forrest’s old War Between the States command. Published once before in FRONTIERS OF TERROR (Marietta Publishing, 2002), “The Hole” was also awarded 1st Runner Up for the 2003 Darrell Award for Best Midsouth Short Fiction. In other May news, Fight On! Publications has announced a this-month-only “super-sale” for their recent anthology ROLL THE BONES (cf. Feb. 16, et al.). This is a chance to stock up early on summer reading — “Escape from boring reality” as one reviewer has put it — and at nearly 370 pages it comes down to a hefty bargain at only $9.99 on Amazon.